← Friends or colleagues? Elementary and Sherlock show different sides of the Holmes-Watson relationship. Apologies if this blog sounds very outdated to my American readers, but here in the UK we are a bit behind with viewings of Elementary. I’m especially behind because I don’t watch them straight away; I use the wonders of Sky-Plus and watch at my leisure. And I’ve just witnessed their take on Charles Augustus Milverton – one of my favourite canon stories. The episode does rather typify my issue with the series as a whole. It is, as I recall, the only episode of Elementary which has been hung on the coat-hanger of an original Conan Doyle story – but it was hung so very loosely that it slipped off and joined the pile of other creased clothes lurking at the bottom of the wardrobe. In fact, all they did was take the name Charles Augustus Milverton and the idea of blackmail, then went off and did something completely different. Something which missed the point of the original completely. In the original story, Holmes couldn’t defeat Milverton. He resorted to breaking into his house and burning the salacious materials from his safe, all after witnessing his murder at the hands of his blackmail victim. Milverton is such a great baddie – eccentric in appearance, completely without conscience, repugnant and unbeatable. It took a bullet to finish him off, and hearing of how Holmes jumped through hoops trying to stop him, getting increasingly frustrated and losing his cool in an uncharacteristic manner, made for a great short story. In Elementary, Milverton dies within the first ten minutes. We don’t even get a proper look at him. 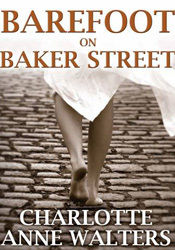 He is shot by one of his victims, which Holmes witnesses, but we are then expected to believe that this victim goes on to take over his blackmail business and bumps off Milverton’s accomplice. It just didn’t work for me – neither the updating of a great story or the actual new plot they conceived. We also got to meet the updated Mrs Hudson. No longer an aged landlady/housekeeper, now we have a young-ish transvestite – Miss Hudson – who Holmes goes on to hire as a cleaner. That doesn’t work for me either. It’s as if the creators have sat down and thought – “What can we do with Mrs Hudson to make her as different to the Una Stubbs character in BBC Sherlock as possible?”, then some bright spark jumps up and shouts, “I know, let’s make her a transvestite!” And there she is, glamorous, immaculate hair, make-up etc and we are supposed to believe she is happy to work as a cleaner? I don’t think so. Perhaps Miss Hudson goes on to be a great character; I guess I should give her a chance. Just like how I keep giving Elementary a chance. Only problem is that I keep feeling let down. This entry was posted in BBC Sherlock, Elementary and tagged BBC Sherlock, elementary, Sherlock Holmes. Bookmark the permalink. At what point do we just say Elementary has NOTHING TO DO WITH SHERLOCK HOLMES!!!! Miss Hudson is not a transvestite; she is transgender. The Milverton episode was not my favorite with the fat shaming and other issues, although I did like the addiction subplot. The interactions with Holmes and Watson are usually the most important thing to me. I understand what they were trying to do with Milverton, taking it from the point that Holmes (but why not Watson?) witnesses the murder–and that blackmail materials are harder to get rid of nowadays. I did miss the confrontation with CAM, but it is interesting to see the different directions these things can be taken. Also, I think her OCD explains her willingness to be a cleaner. Wouldn’t be surprised if she buys that brownstone from Sherlock’s father, eventually, though. The show give many Canon Easter eggs for the savvy viewer (quotes, paraphrases, references, plots and parts of plots that come from Doyle), as well as a Holmes, like Doyle’s, who cares about justice and not just puzzles, and who executes random acts of kindness (this also happens in the Canon). The show builds a beautiful Holmes-Watson friendship, as well. 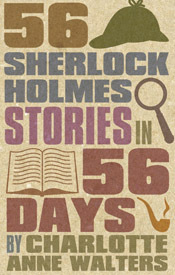 It is not for every Sherlockian, of course–nor is BBCSherlock, nor the Rathbone-Bruce films, nor even Jeremy Brett. No adaptation is for every Sherlockian. How fortunate are we, then, who have so many from which to choose. Agreed, the way Elementary developes the friendship between Holmes and Watson is very good – and quite touching at times. There certainly is a lot of choice at the moment, something which I will be debating about on the 8th of June at the next live Great Sherlock Holmes Debate in London. Is it too much? Have all these different versions somehow diluted Holmes beyond recognition? If it’s not too much, what should come next? All questions for the modern Sherlockian to think about. I will blog my own thoughts after the debate. Sorry, I don’t mean to scare you. My comment about Elementary and Canon (above) was actually meant as a response to Kieran’s statement that it had nothing to do with Sherlock Holmes. I had some issues with the finale myself. For me, Irene Adler was always a woman of honour and the heroine of “A Scandal in Bohemia” (it was the king who behaved badly). No one seems to get this. I have three times recently seen her referred to as a “conwoman.” No, no, no. I have a bit I’m going to write about that myself. To be honest, that’s why i’ve always had an issue with Irene Adler as a character. To me she isn’t a villian or a conwoman, she actually doesn’t do anything that interesting or fantastically clever in my opinion – nothing to deserve the title of ‘The Woman’. But yes, excellent point – It’s the king who behaves badly not Irene. Elementary has missed this. Blending the two characters together somehow dilutes them both – Irene and Moriarty. She becomes niether a good Irene or a good Moriarty in my opinion. Sorry, that’s probably my misunderstanding of the terms. As Holmes comments that she still has an Adam’s Apple, I presumed that she had not undergone full gender-change surgery and was therefore not yet fully transgender. I thought she was still a man dressed as a woman and therefore a transvestite, not transgender. But maybe I have misunderstand the two terms. Hope that hasn’t caused any offense to anyone.